So apparently I'm all about change right now. Or something. In addition to trying to lose weight I've decided to learn a new language. 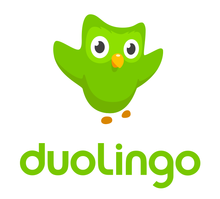 While going through the Yuku Support forums the other day I came across a link left by Arizona for duolingo. It is a language learning program much like Rosetta Stone only it is completely free. You can do it on the computer or via app on your phone or tablet. I've decided to start with German since I took a few years of it in high school, a semester in college and spent 18 days there one summer. With all of that I still only know a few words and phrases and not even very well. When I first started on it, I tried to test out of the first lesson. Half way through I realized that I needed to just start from the beginning because I wasn't getting very many of the questions right. So I am currently learning some new words, remembering ones I used to know and still trying to figure out how to spell all of it! The other neat thing about this is that it is part game, part social. If you have friends that use it, you can connect and track how each other are doing and if you like, make a competition out of it. I talked my husband into putting it on his phone also though he has decided to do Spanish as he feels that would be the most useful to him. I'll probably do Spanish second if I do a second one. So we are connected on there and of course he has passed me already in the number of courses he's finished. Today he told me he purchased (with the in app currency, not real money, that you earn as you complete lessons) the "flirt" package so that he can learn to ask me out in Spanish. I might do that with the German if I ever earn enough to buy it just so that we can be silly together. Re-learning German is something that I've been wanting to do for a long while and I know Brian has been wanting to learn Spanish. We had planned on saving up to buy Rosetta Stone once he starts working again but if this works just as well it will save us a good chunk of money. So far I'm having fun with it. It gives a mixture of you translating from German, or translating to German, simply selecting the words from a list and speaking it. So even though you are repeating the same words a lot, it is presented in different ways that make it interesting. And they have a lot of languages to choose from.